Pau d’Arco, also known as Lapacho is Anti-inflammatory, Antiviral, Antiparasitic and Antibacterial. This product is in tea form. A huge canopy tree native to the Amazon rainforest that grows to a height of around 30m. The bark of the tree is a source of many antioxidants. Rio Amazon Pau d’Arco vegicaps are prepared using only certified inner bark from the ‘cambium’ layer of these rainforest hardwood trees. This process is entirely sustainable and the bark can be ‘harvested’ without causing permanent damage to the tree. 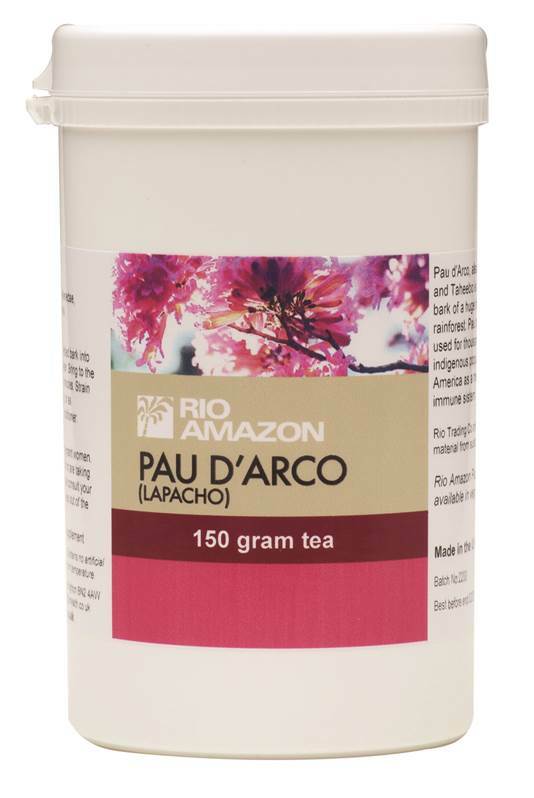 Practitioners use Pau d’Arco to support the gastro-intestinal tract where IBS type symptoms are present. Some users can experience slight gastrointestinal complaints upon first using Pau d’Arco.